Next Next post: It’s an Honor Just to be Nominated! Wow, they’re really red. Ours are more purple looking. Sour cherries are a lot brighter than sweet ones — the sweet ones are dark red/purple. I love the color, like maraschino cherries. They almost glow! 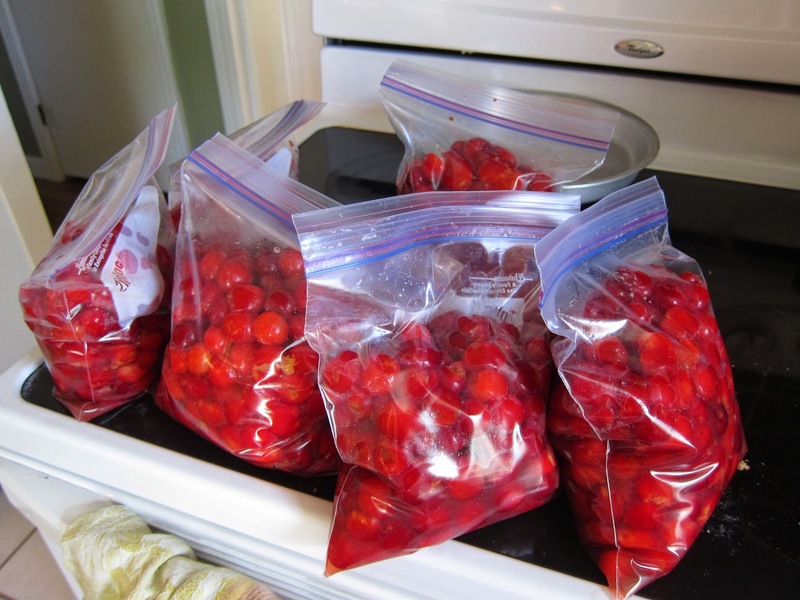 I just finished having a handful of sweet cherries with lunch. And I paid an arm and a leg for them… $4/lb! I hate pitting cherries, so that machine sounds amazing. I would totally do that if there was one close to me. Now I need to go look!